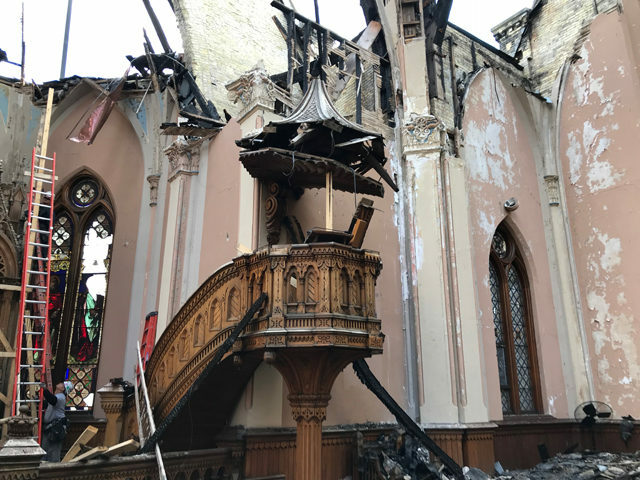 Five months after a devastating fire, Trinity Lutheran Church in downtown Milwaukee, one of the city’s oldest places of worship, is still recuperating. 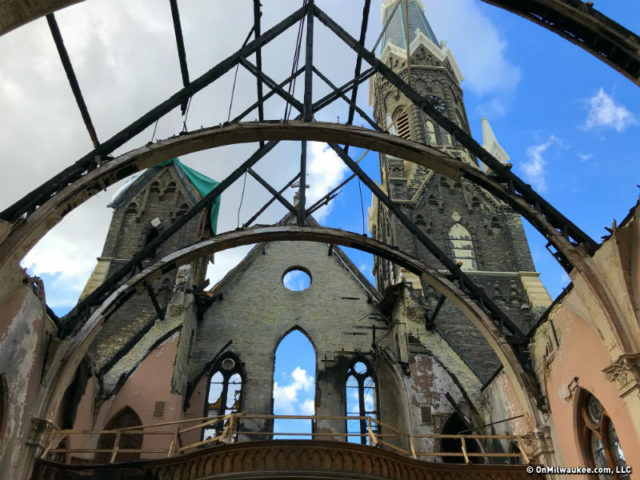 OnMilwaukee’s Bobby Tanzilo recently toured the site and dropped by the studio to tell me about his visit. Listen to our conversation in the episode of Urban Spelunking below. Mounds of charred wood, most of it dating back to its 1878 construction, are staked alongside where the pews once stood. The entire sanctuary is still open to the elements while crews prepare to install a temporary roof structure. Insulation and various building materials are mixed in with the burnt pieces, piled up to four feet high in places. But, looking at what seems like an endless project, the congregation has vowed to move forward, to rebuild. Work has been slow and steady, challenging at times. But month to month, crews are making progress. 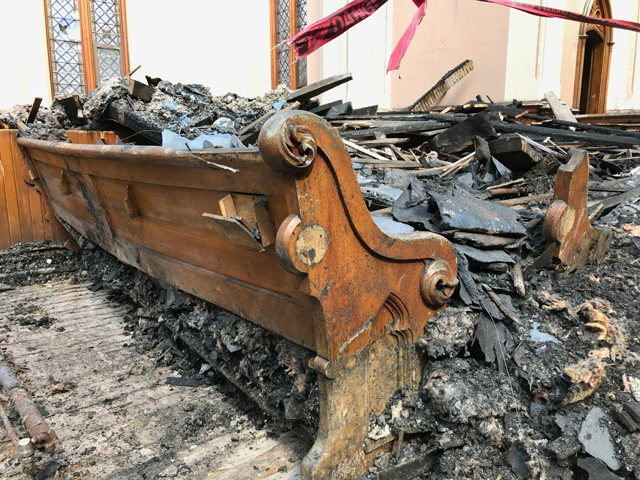 A few undamaged pews and other salvaged woodwork poke through the mess, offering glimmers of hope. 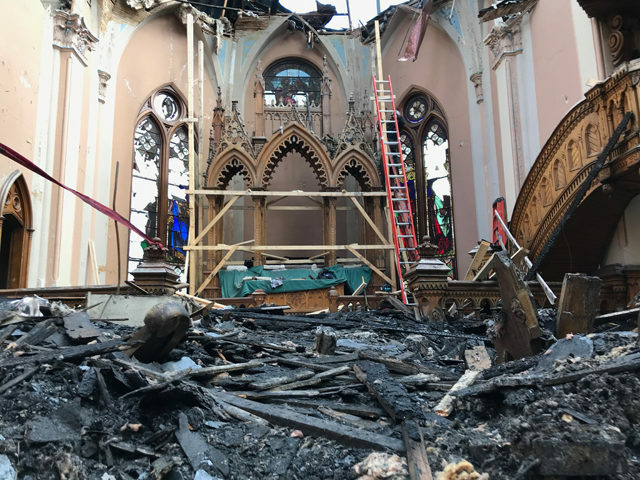 The collapsed roof and steeples have been cleared out, while workers figure out what else they can restore.